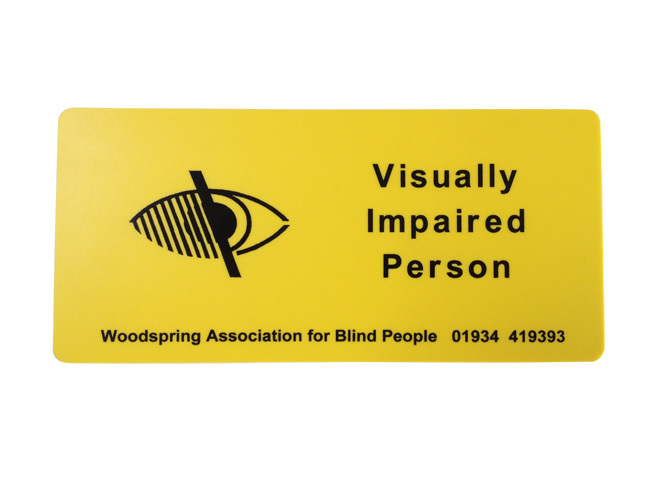 We manufacture a range of signs, reading and writing aids for the blind and visually impaired (people with low vision). 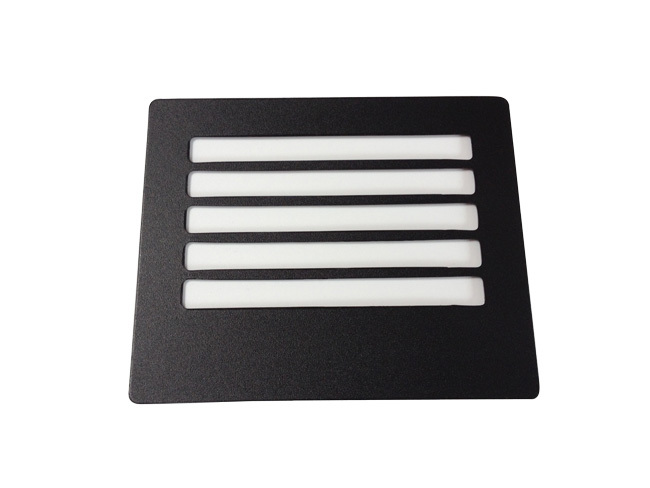 These handy devices are made from durable PVC and polypropylene. 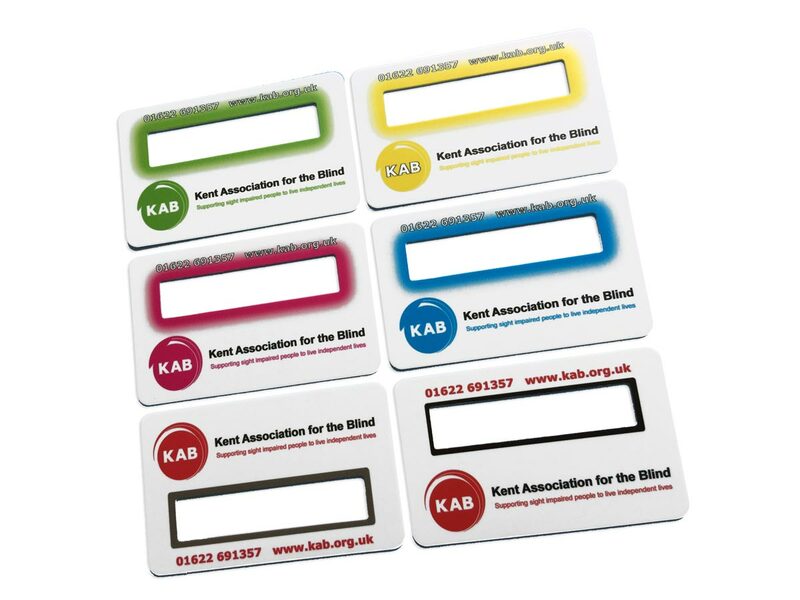 You can choose from a range of colours with your company logo and information printed if desired. 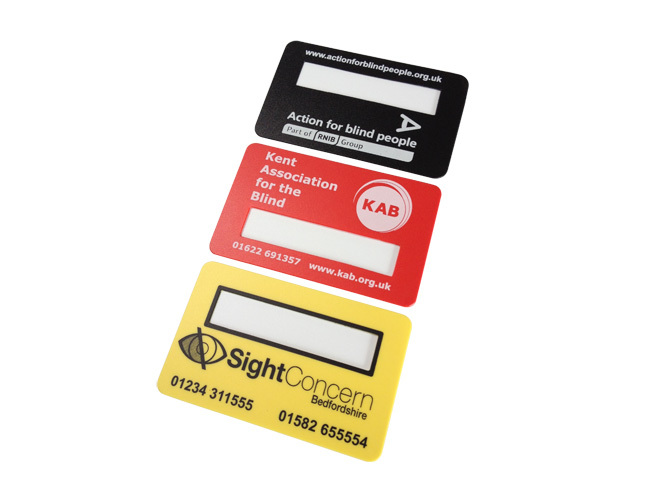 Most of our customers choose black or yellow plastic. 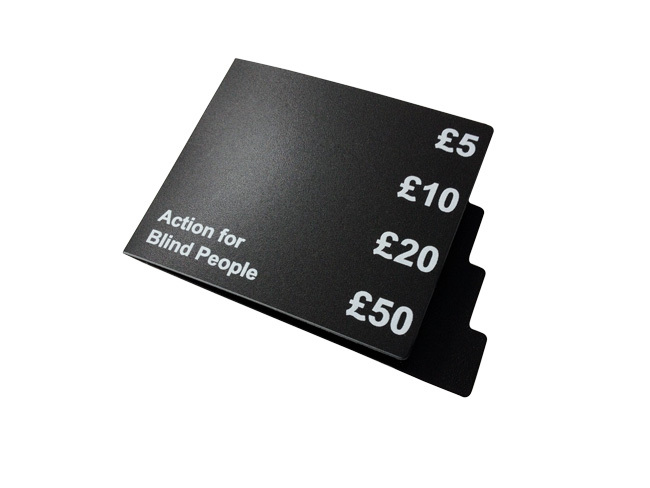 Amongst our customers are RNIB, Action for the Blind and many Low Vision Society’s in the UK. 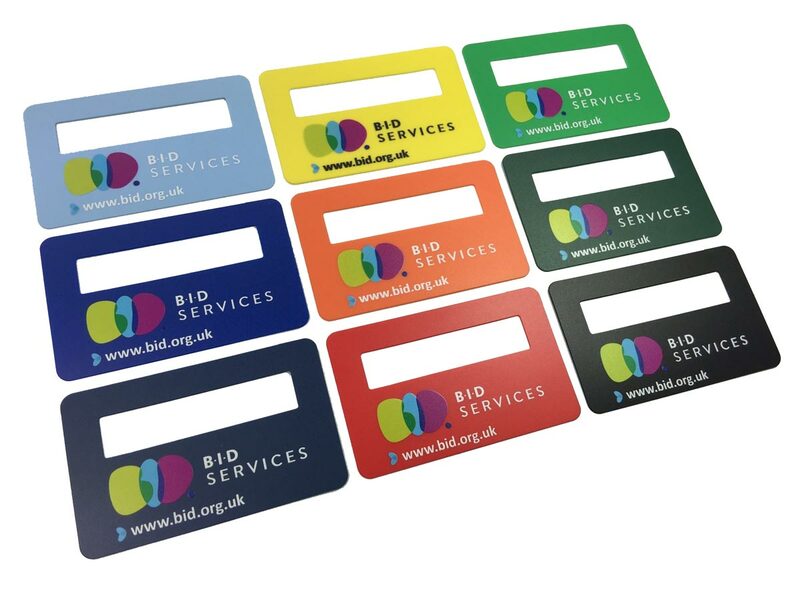 The signature guide has a cut-out slot which is positioned accordingly onto documents enabling you to sign forms accurately. 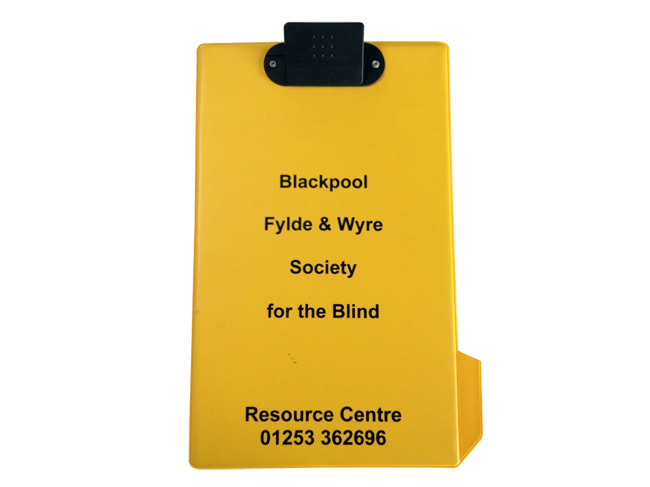 Oversized A4 clipboard with a large plastic black clip for easy handling. And integrated pen loop to secure a pen. 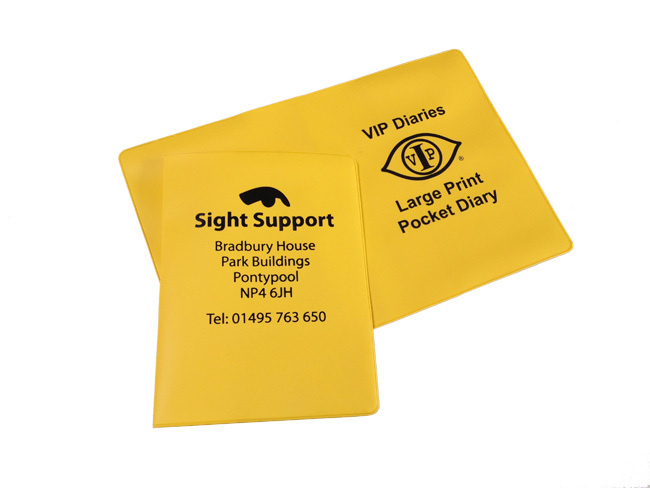 This flexible A6 PVC Cover holds and protects a large print diary. The diary insert easy slips in and out of the internal pockets. 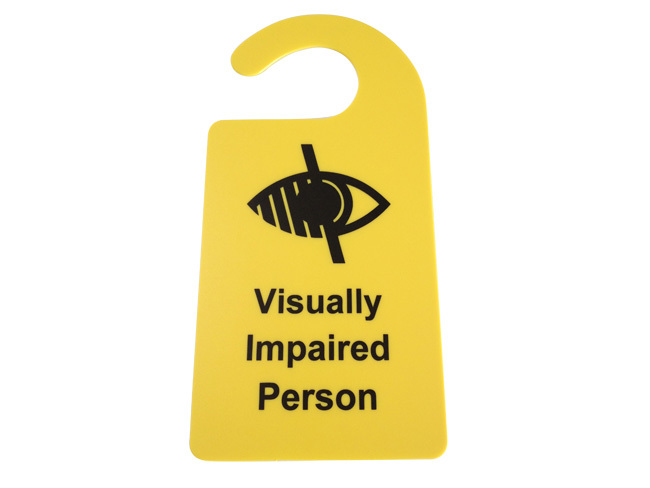 A yellow plastic door hanger can be hung on door handles or many other objects. A plastic device to help write an address on an envelope in a neat line. Made from heavy duty black plastic. 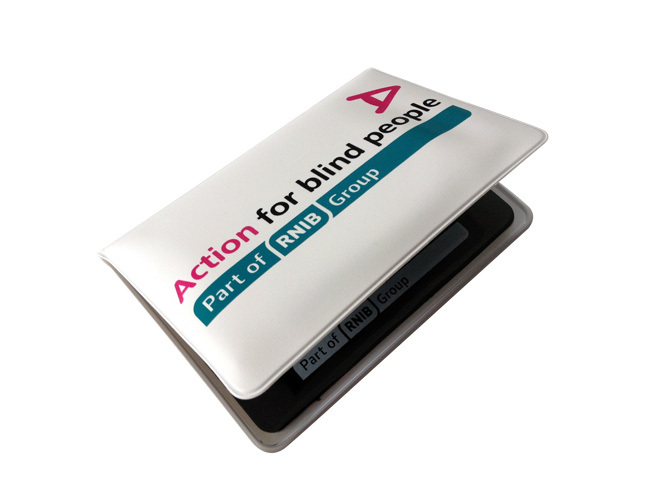 A handy plastic wallet available in various colours. Holds a signature guide and note checker. The note checker is an effective guide that will help you identify exactly the denomination and value of a banknote. 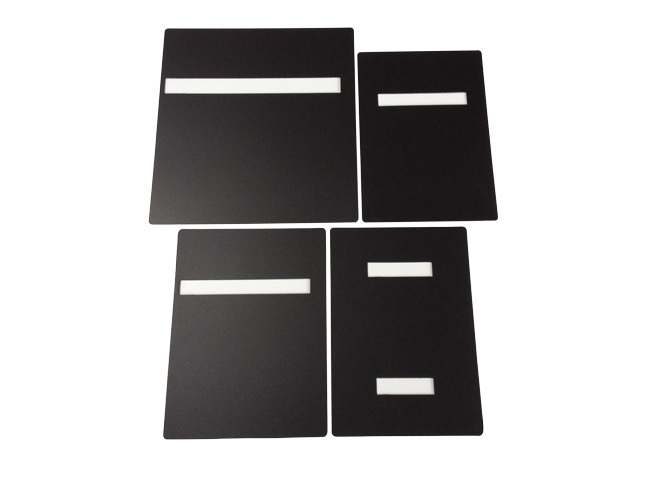 These black plastic guides have a cut-out section to reduce glare and the amount of visible text, making it easier to focus on a single line.